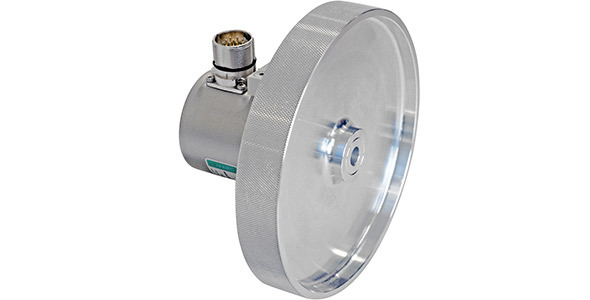 POSITAL has introduced a series of measuring wheel accessories for its IXARC family of rotary encoders. When one of these wheels is mounted on the shaft of an encoder, the result is an accurate and reliable instrument for measuring linear motion and position.With the new measuring wheels, POSITAL provides a very convenient way to make linear displacement measurements while taking advantage of the proven performance of our extensive line of rotary encoders. A Linear Measurement Range of up to 500 Kilometers! What is a Measuring Wheel? Watch and Learn! POSITAL also offers great benefits from the combination of measuring wheels with our programmable incremental encoders. With this arrangement, a user could define exactly how many pulses the instrument would produce for a defined unit of linear motion. IXARC programmable encoders can be easily calibrated at the job site using POSITAL’s convenient UBIFAST programming tool.